RCAP Solutions can assist your community in creating a solid waste reduction/recycling program. 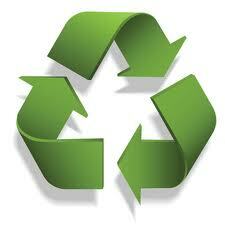 Recycling saves money, recovers valuable materials and provides countless environmental benefits. Please take a look at the links below for useful information. Solid_Waste_Reduction_Handbook: A guide for rural communities seeking to encourage their residents to reduce, reuse and recycle. Increasing_Recycling_Program: Why should my community reduce solid waste and increase recycling? Pay_As_You_Throw_Handout: A resource for communities – allowing residents to control their own recycling costs. RECYCLING_EDUCATION_AWARENESS_PLANNING: A guide to generate discussion and get ideas about what would be best for your community. Reduce_Waste_Save_Money: Stretch your hard earned dollars and feel good about the environment while doing it! Toss_Out_Your_Throw_Away_Lifestyle: Re-think the way you think about trash. Pay_As_You_Throw_Handout: A power point presentation about the benefits of using pay as you throw in your community. Ethics_of_Recycling: A power point presentation about managing waste in your community. The material in the above links is based upon work supported under a grant by the Utilities Programs, United States Department of Agriculture. Any opinions, findings, and conclusions or recommendations expressed in this material are solely the responsibility of the authors and do not necessarily represent the official views of the Utilities Programs.RCAP Solutions is an equal opportunity provider and employer. For more information, please contact Sarah Buck, Deputy Director, Community Resources: 978-630-6658, email: sbuck@rcapsolutions.org.